GH+A’s Paola Marques was quoted in Shop! 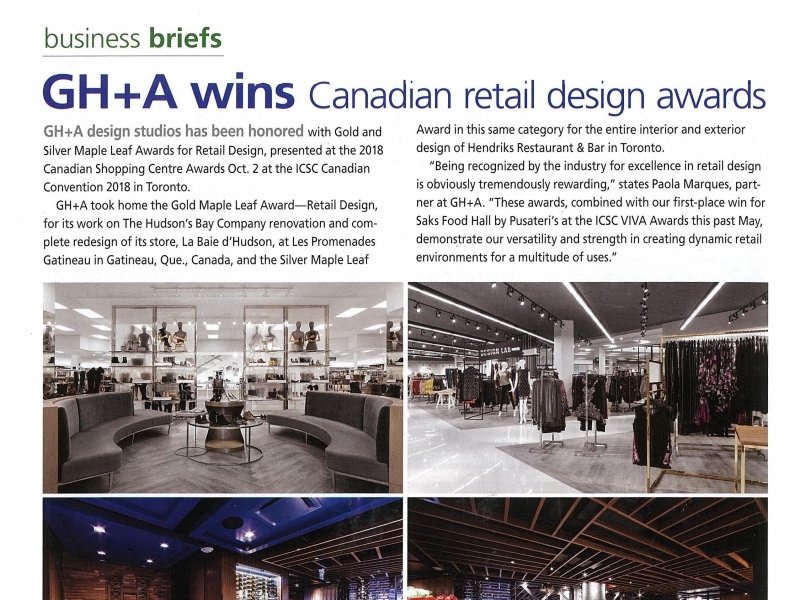 Association ‘s Retail Environments Business Briefs talking about our ICSC awards for Hudson’s Bay Company and Hendriks Restaurant & Bar. GHA is proud to be collaborating on such a significant project. There will be more great things to come at UNION! We are honored to announce that American Dream was the winner of the of the Best Future Shopping Centre at the MAPIC Awards. 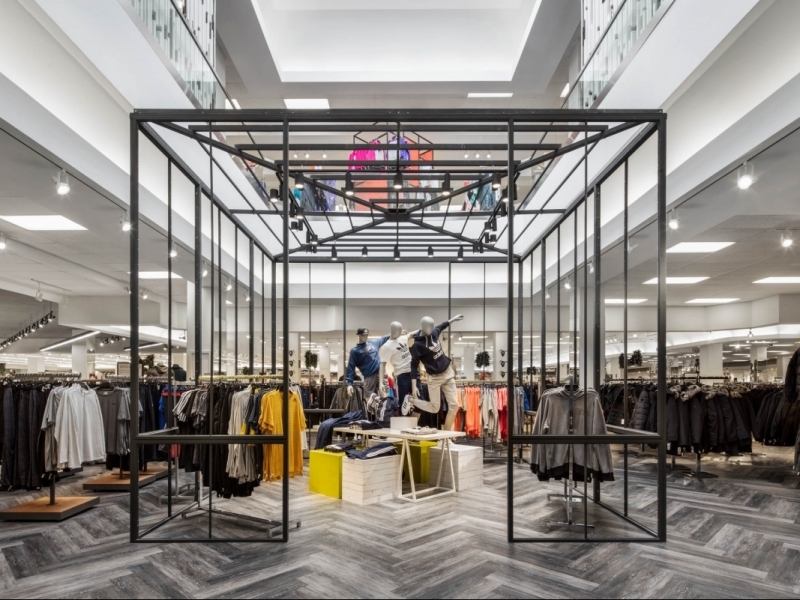 GH+A had the pleasure of working with Jeffrey Stores and Simon Properties to bring the first Jeffrey store to the west coast at the Stanford Shopping Center in Palo Alto, CA. 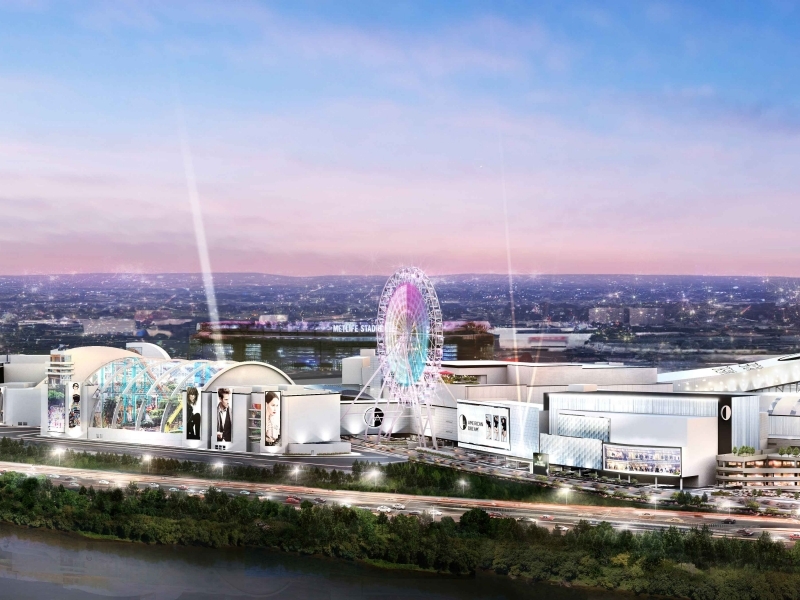 We’re thrilled to have been chosen by The Hudson’s Bay Company for the renovation and strategic redesign of La Baie d’Hudson at Les Promenades Gatineau in Gatineau, Québec. 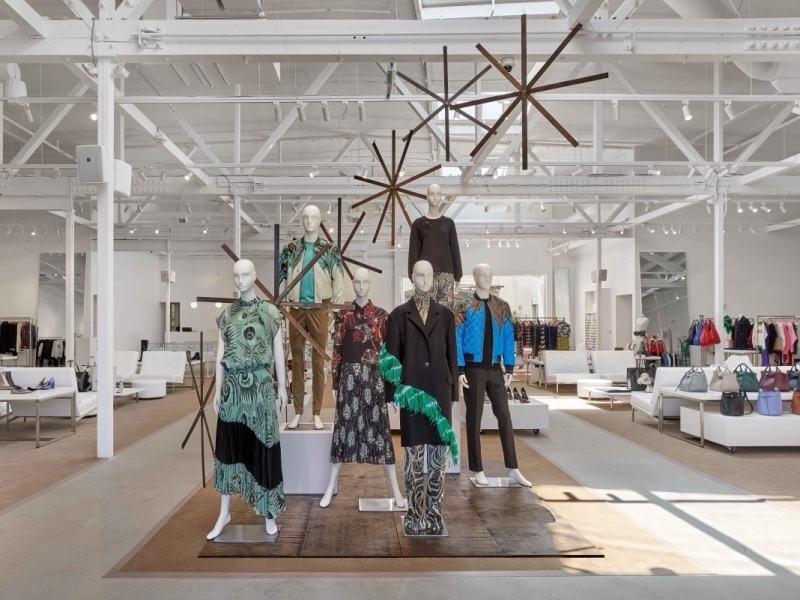 The new concept store respects the company’s heritage while projecting an updated contemporary image for a truly redefined and elevated shopping experience. Time Out Market Coming to Montreal! 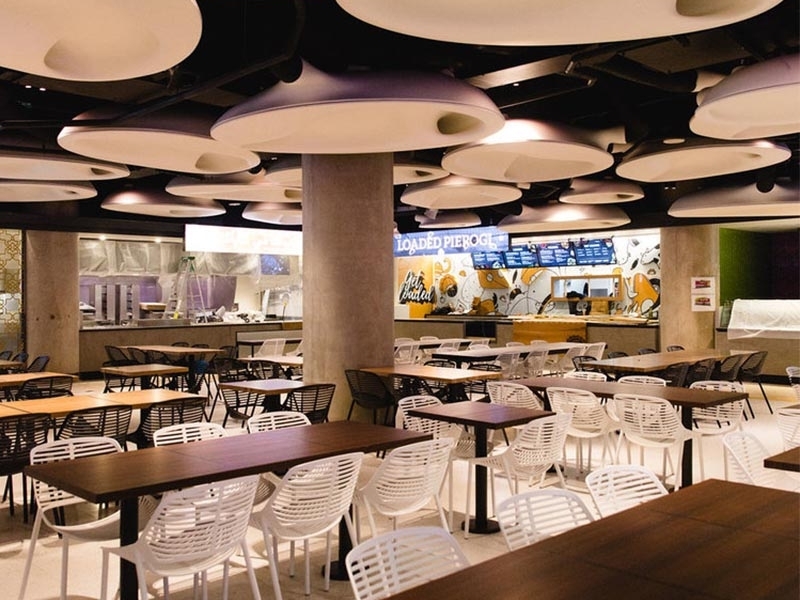 GH+A is excited to be working with Ivanhoé Cambridge and Time Out Group on the new food market concept, Time Out Market, in downtown Montreal. Montreal will be Time Out’s first Canadian location to join the ranks of some of the world’s leading food-centric cities selected by Time Out for their market. 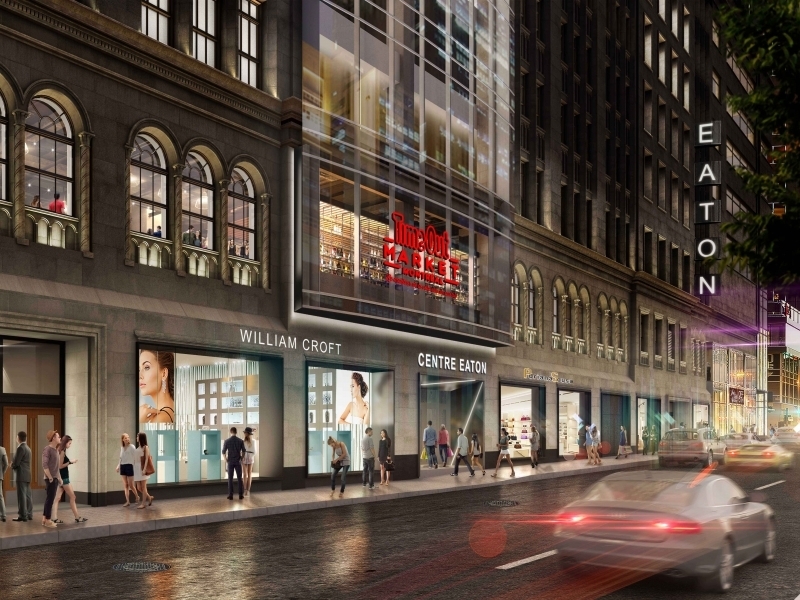 The 36,000 ft² culinary experience will anchor the $200-million overhaul of the Centre Eaton de Montréal.